Fulfill your desire of paying homage at Badrinath and Kedarnath Dham. The Do Dham Yatra package by helicopter is crafted especially for devotees who are running short of time or are not physically fit to undertake the difficult sojourn. The five days long Kedarnath and Badrinath Yatra allows you to offer prayers at the two revered shrines easily. Seek the blessings of Lord Shiva and Vishnu and bask in the bliss. Book Badrinath Kedarnath tour package and get spiritually awakened from within amidst serene environs. Besides, delight in exploring some of the best places to visit in Uttarakhand. The soul-soothing trip will surely rejuvenate your senses. Darshan at the revered Kedarnath Temple. 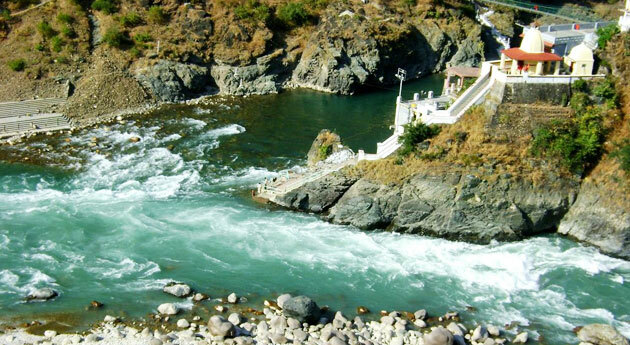 Visit the sacred towns of Guptkashi and Rudraprayag. Morning darshan at Badrinath Temple. Badrinath attractions including Mana Village. Karnaprayag, the confluence of River Alaknanda and River Pindar. 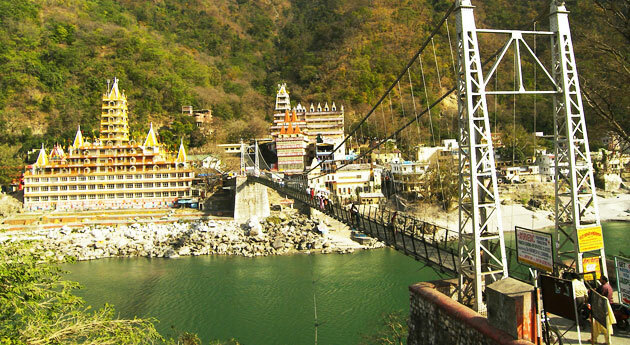 Sightseeing in Rishikesh including Ram Jhula and Laxman Jhula. In the morning, arrive in Haridwar. 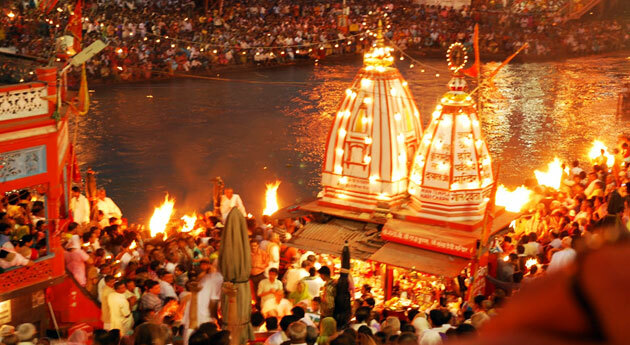 This holy city is the site where the River Ganges hits the plains for the first time. Later, begin your road journey to Guptkashi, the peaceful hill town. Upon arrival, check-into the hotel. The day now is free for you to indulge in the activities of your interest. Explore the town on your own. Some of the popular sacred sites here are Vishwanath Temple, Ardhanarishwar Temple and Manikarnik Kund. Enjoy dinner. Day 2 starts early. Arrive at Phata Helipad to go on-board a helicopter that takes you to Kedarnath. Devotees travelling by helicopter can book priority darshan ticket on reaching as they get 1-2 hours for darshan. 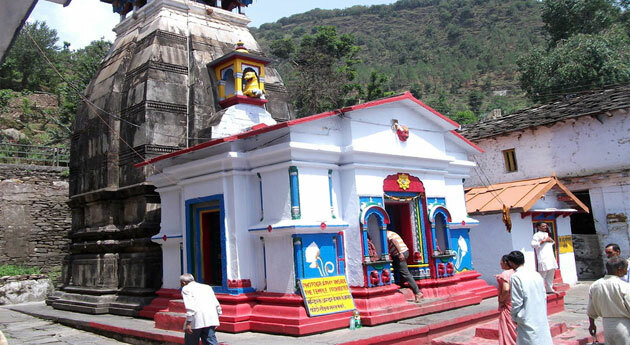 Now head towards the Kedarnath temple, one of the 12 Jyotirlingas of Lord Shiva. Originally the temple was constructed by the Pandava brothers but was later renovated by Adi Sankaracharya. Darshan and Pooja at the temple. Back to the helicopter that takes you to Phata. Near the helipad, vehicles are waiting for you to bring you back at the hotel for dinner. At around 08:00 AM, check-out from the hotel to start the drive to Badrinath via Joshimath. The scenery all around is quite breathtaking, do not miss it. As you reach, complete the check-in at the hotel. Some rest is followed by refreshments. The evening is scheduled for a tour of the town. Before going to the Badrinath temple, halt at the Tapt Kund or Hot Spring to take a bath here. Now head to the temple, 15 m in height. The temple is dedicated to Lord Badri (Vishnu) and is in the form of a cone. This sacred site is on the banks of Alaknanda River. Dinner at the hotel. Go for morning darshan at the Badrinath temple. Breakfast is planned at the hotel. Embark on a sightseeing. Some of the attractions of Badrinath that you visit are Vyas Gufa- the cave where the 4 Vedas were written by sage Vyas, and the Mata Murti temple on the banks of River Alaknand, which is dedicated to the mother of Nara and Narayana, Mata Murthi. The other two sites are the ancient Ganesh Gufa where the great Hindu epic of Mahabharata of written by Lord Ganesha, and the last village on the Indo-Tibetan border, which is inhabited by the Indo-Mangolian tribe. The road journey to the beautiful town of Rudraprayag via Karnaprayag starts in the afternoon. Halt at Karnaprayag, the meeting point of Rivers Alaknanda and Pindar. Thereafter, on reaching Rudraprayag, check into the hotel. It is a small pilgrim town that has been blessed by abundant scenic beauty. The town lies on the confluence of River Alaknanda and River Mandakini. The day is at leisure. You can explore the place on your own including popular attractions like Koteshwar Mahadev Temple, Augustmuni and Dhari Devi Mandir. Have dinner. Today is the last day of the tour. Have an early morning breakfast and begin the return journey to the spiritual city of Rishikesh, called the 'Yoga capital of the world'. On arriving, visit the popular tourist attractions of Rishikesh including Ram Jhula and Laxman Jhula- the two famous hanging bridges. In the evening, get transfer to Haridwar by road and get dropped at the Haridwar railway station for boarding the train to your onward destination.